Cedar is located 17 km (11 miles) north-east of Ladysmith and 10 km (6.5 miles) south-west of Nanaimo. Cedar is a small rural community that contains a number of farms in the immediate area that stretch into the neighbouring communities of Yellow Point and Cassidy. There are also two Snuneymuxw First Nation settlements in Cedar, the Nanaimo River Reserve 3 and the Nanaimo River Reserve 4. 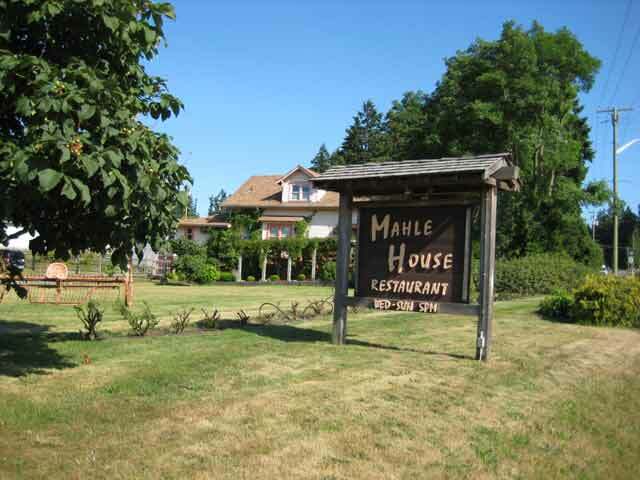 The main business section of Cedar is on Cedar Road near the junction with the north end of Yellow Point Road, the Cedar Village Square and the nearby Mahle House Restaurant. The Cedar Village Square acts as the town centre plus houses the 49th Parallel Grocery (that sells quality meats, deli foods, fresh produce and bakery), the Cedar Brook Restaurant and an Island Savings Credit Union. 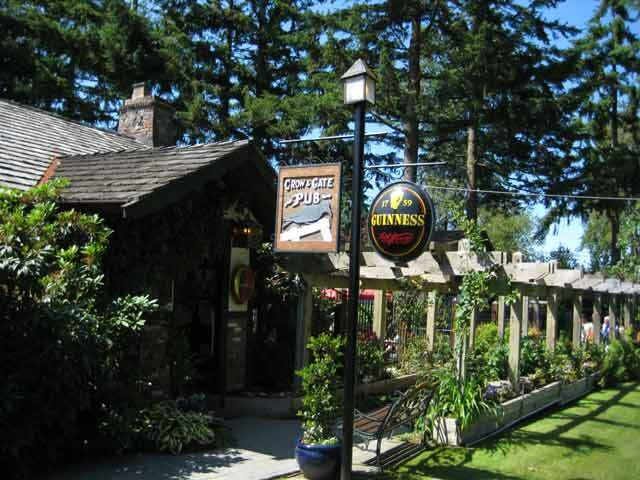 If you happen to be in the Cedar area try and visit the Crow & Gate Pub - a real favourite and destination point for people who live on Vancouver Island. The Crow & Gate Pub features an authentic English style facility complete with home-cooked meals such as steak and kidney pie, hearty soups, ploughman sandwiches and crab cakes. Always enjoyable! To enjoy farm fresh produce and local homemade products there is the Cedar Farmers' Market which is held on the grounds next to the Crow & Gate Pub on Yellow Point Road. Taking place on Sundays from 10 a.m. -2 p.m. from Mothers Day in May up to and including Thanksgiving in October, the market offers farm fresh products from the nearby producers in the area. For other entertainment in Cedar there is also the Wheat Sheaf Hotel a favourite of the young crowd especially during 'slow pitch' and baseball season. 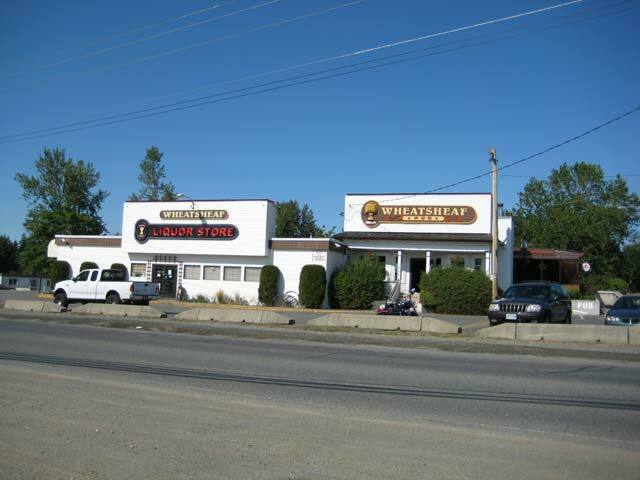 The Wheat Sheaf Hotel is situated at 1866 Cedar Road right across from the baseball fields in Cedar. For a local swimming hole, especially if you have kids, look for the small beach area on Cedar Road often referred to as 'Cedar Bridge' situated near the turnoff to Harmac Road. The beach is a little larger than most areas on the river and has the advantage of being wide open so you can keep a good watch on small children. There are also a number of other Nanaimo River swimming holes farther upstream west of Hwy 1 in Cassidy. Cedar is very close to where the Nanaimo River makes its way to the ocean in the Nanaimo Harbour at Mud Flats. Along the river there are lots of exploring available and chances to see wildlife present, especially for birdwatching throughout the natural surroundings of the forest and riparian zones along the Nanaimo River estuary. If you are travelling to or from the Lower Mainland at Tsawwassen, there is a BC Ferries Terminal situated very close to Cedar at the end of Duke Point Road. 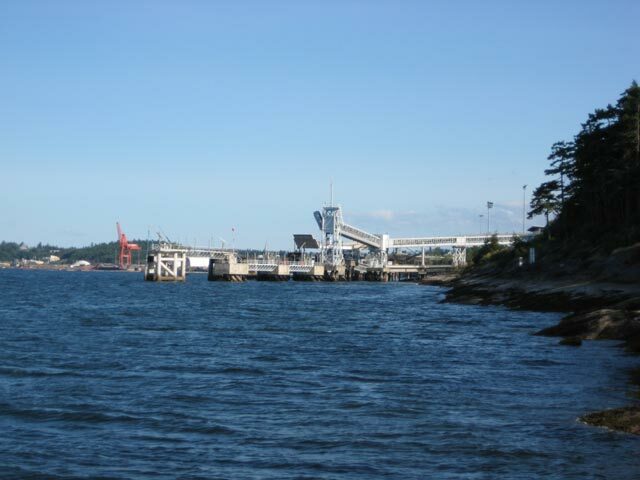 Also located at the east end of the ferry terminal is Jack Point Park and, to the north side, neighbouring Biggs Park. 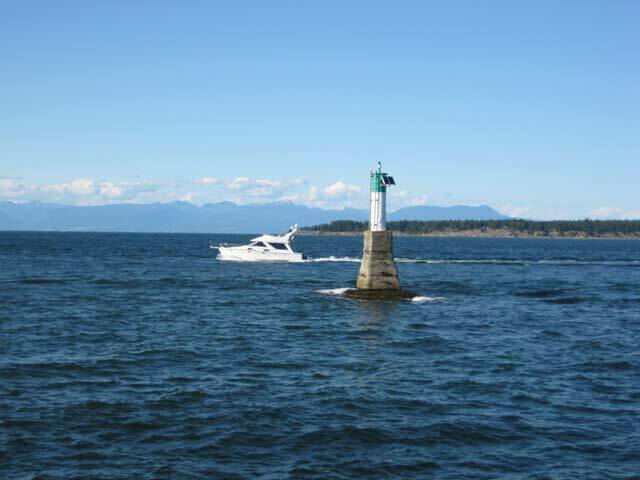 Both parks have beautiful oceanfront views of Nanaimo and the harbour to the north and are situated along the eastern side of the Nanaimo River estuary. Look for the signs directing you off and away from Hwy 19 and the Duke Point Ferry Terminal. For fishers who enjoy awesome smallmouth bass fishing there is Quennell Lake which is situated south of Cedar just off Yellow Point Road. Quennell Lake also sports some trout fishing and is a very good lake to explore by canoe because of its interesting shape of 9 or so arms that include a small island. If you would like to camp out along the lakeshore the Zuiderzee Campground and Resort is close by. Other ocean access near to Cedar includes Roberts Memorial Park on Yellow Point Road south of Cedar towards Quennell Lake. 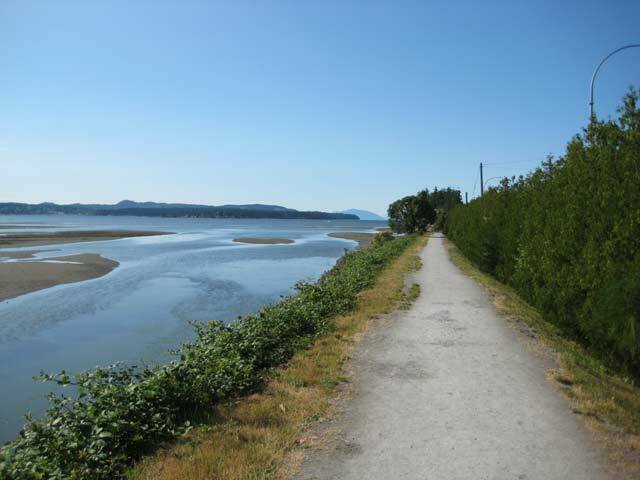 Here you can find a short 15-minute, 1 km (.6 mile) walk through a grove of Douglas fir forest to the oceanfront across Stewart Channel from Mudge, De Courcy Island and Valdes Islands. Roberts Memorial Park along the ocean is situated on a large sandstone shelf and features very unique rock formations and small tidal pools. For family fun entertainment nothing is as much fun as going to McNab's Corn Maze situated south of Cedar on Yellow Point Road. McNab's Corn Maze is a great place for birthday parties, youth group functions, office adventures, etc. and features corn maze, a petting zoo and, for farm fresh products, Mareena's Market. Other fresh farm products close to Cedar in Yellow Point include the nearby Hazelwood Herb Farm and Yellow Point Cranberries. Both are located in Yellow Point, an area just to the south of Cedar.